Angels Rest Hike is for those who are a little more comfortable hiking, but the views are absolutely amazing. 5 miles round trip this hike is a great way to get a look at the beautiful Columbia River Gorge. 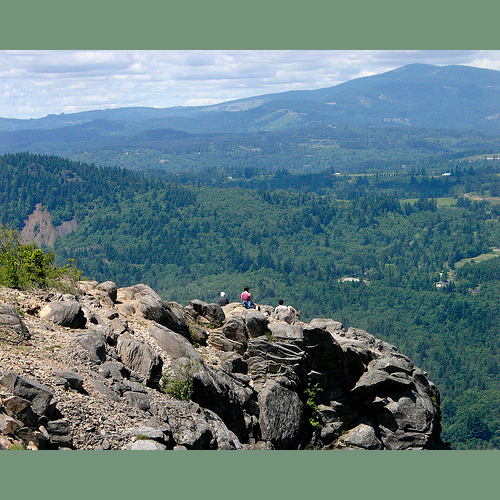 This hike is a winding trail (#415) on the western end of the Columbia River Gorge that takes you up to great views. It starts at about river level and quickly climbs up through trees and then over boulders before rising to a bluff above the river. From the top, you'll get a spectacular 270 degree view of the Gorge, including many landmarks like Beacon Rock and Silver Star Mountain. Travel nursing assignments can be in metropolitan or rural areas all over the US and your agency will find you luxurious accommodations so all you have to do is pack your personal items and hit the road! You get help on marketing, billing, setting up your website, and so much more. Please give some advice on how to achieve this kind of posts. I personally like your post, you have shared good article. Economics Assignment Help It will help me in great deal. This is the kind of manual that needs to be given and not the random misinformation that's at the other blogs. buy harvard or Ivey case study solutions I am so happy to read this. This is great information for students. This article is very helpful i really like this blog thanks. Electrical Engineering Assignment Help I also have some information relevant for online dissertation help. This is the kind of manual that needs to be given and not the random misinformation that's at the other blogs. Case Studies Solutions I am so happy to read this. Booking online though a reputable travel management company can bring you great savings of over 20%. These savings can be the solution to reducing your costs and can be even greater than you expect. What could fill some individual's heart with satisfaction other than examining such flawlessly made blog, for instance, this. London. The vibrant, beating heart of the United Kingdom. It's one of the world's most popular destinations for tourists, and for business travellers too. Make friends with the people who have control of the food. If you are eating all your meals off the Room Service menu, you will soon get bored with the choices. Encourage the person who answers the Room Service line to give you suggestions. What an amazing spot! Thank you for sharing! The blog is an individual excursion of a performance swashbuckler investigating the world. Wao excellent! Glad to find such great blog with lots of wonderful information.